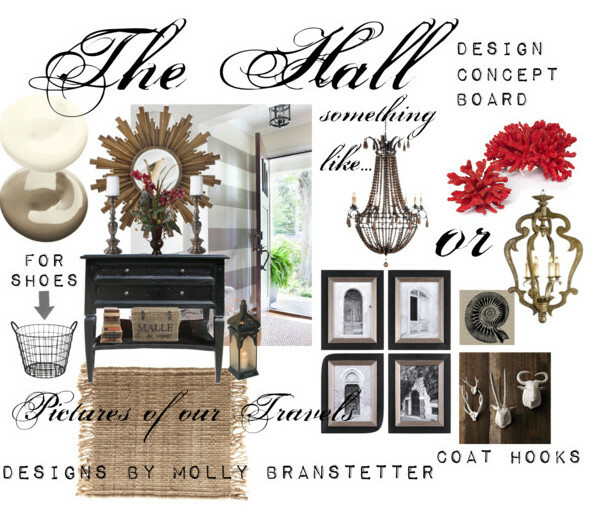 the poor sophisticate: Hall Reveal! Well hello, hello! Is everyone enjoying their Memorial Day?? As I said in my last post I am SO grateful for the men, women and their families, who sacrifice everything for our freedom! Our home is slowly coming together since we received our things this past week! 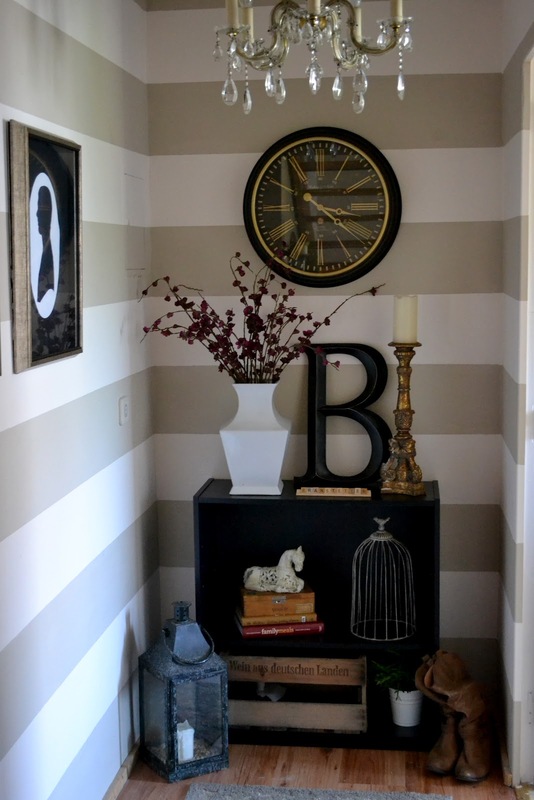 One of the rooms that is completed, for now, is the striped hall. To learn how to do the stripes yourself click here. Our front door opens directly into our kitchen and there isn't a lot of space for storage at all. We decided to turn the hall that leads from the kitchen to the bath into a welcoming little walkway with storage for shoes, gloves, umbrellas and as a display for some of our funky finds. I realized there were many things that we were going to have to purchase for our home. Instead of spending money getting pictures printed and a new table for the space, we decided to use the things we already had. It's all about re-purposing the junk you already have, my dear friends! Our home will always be a "work in progress," I enjoy discovering and collecting things along the way. This is my concept and idea board for the hall. Even though I changed a few things, the "feel" of the space is the same! I haven't found a sunburst mirror, but love the round clock instead. The cabinet was a cruddy one we got at Walmart before we left, but with a few fancy things on top and inside of it, it looks pretty slick! The wine crate is from a wine festival here in Germany! It is perfect for storing shoes, umbrellas, gloves etc. The shot below is looking into the hall from the kitchen. 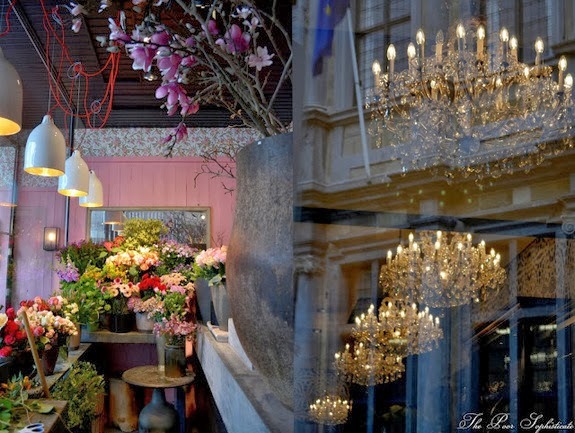 The vintage crystal chandelier is a fabulous and very inexpensive German flea market find! I made these silhouettes before we left California and really liked how they looked against the grey and cream stripes. 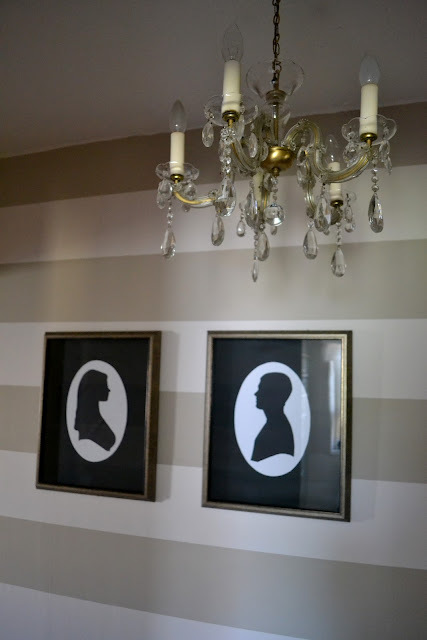 I was only going to use the silhouettes temporarily until we printed off some images from our trips, but we ended up liking them so much in the hall, they may just end up staying there! I have learned a lot about my own personal style while working on this home. I found that I fancy a nice blend of every style. If things start looking too antique-y I like to throw in something clean and contemporary. If things look too feminine, I'll add something rustic and more masculine... A nice balance of all styles is what is pleasing to my eyes, and makes things livable and comfortable for my family. I have also recently discovered I don't like things that match. I like things to go together and compliment each other, but don't like things to match perfectly. I am most comfortable in a space that looks like things have been collected over time, not all ordered out of a catalog. After all, that's what makes each space charming and unique to the people living there.Thanks for checking out my hall! 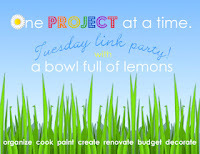 Stay tuned for the kitchen reveal! Looks fantastic Molly! 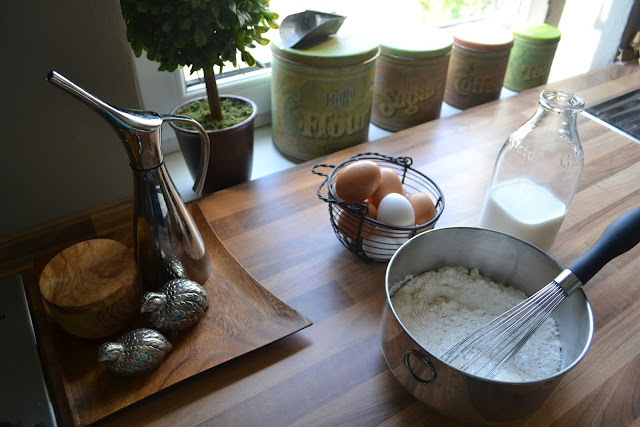 I can't wait to see those kitchen photos, already coveting your salt and pepper shakers!! Did anything break in the move? How long did you have to wait for your things? Happy unpacking! Hey there Ann! Thank you so much! The salt and pepper shakers were a complete steal at only $4!!! It also came with a larger one that's for sugar that I use in a vignette in the living room. A few things did break, our headboard (from the movers trying to get it up the stairs), a Moroccan lantern, and a dish from our wedding. That's about it though. How log do you anticipate waiting for your things? We waited a little over two months from the time we got here but they packed us up the day before we left CA which is unusual. That happened because they changed our orders up until the last week. I hope you are having a great weekend! I am very, very impressed! Your hallway looks amazing!! 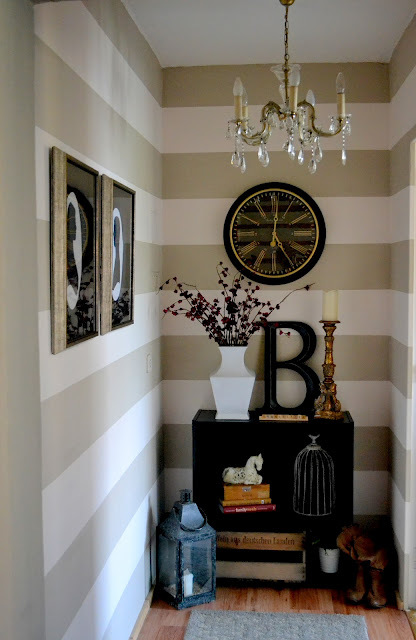 If a hallway can look this wonderful I am super excited to see what you do with a whole room! Thank you Lisa! I look forward to finishing the rest of our home! I love seeing the progress on your gorgeous home! Thank you for all the encouragement and support this past year! You have truly transformed the hallway! I keep going back and forth from the before to the after and am absolutely blown away! You do amazing work. Awww thank you so much! That is so kind of you! It was a lot of fun doing that and I sure can't wait to do the rest of our place! Wow Molly this looks so beautiful. I always look forward to what you are going to do next!! You are so incredible :) the look of the space is so different and just instantly makes you feel welcomed and relax. Beautiful! Thank you very much Stephanie, I really appreciate it! I absolutely love, love, love your entry!!!! Every single detail is drool worthy, and I especially love the silhouette pictures. Your entry is stunning, just as is! Aww thank you so much Kristel! The more I live with it the less I want to change it. Thank you so much! I hope you are having a lovely day! You rock the stripes! And everything in this small space is perfection. I cannot get over what you did with that little area! So impressed! I found you through Elizabeth & Co. Thank you very much Liz! I love patterns on walls and am looking forward to experimenting with some more! I hope you have a blessed day and thank you for stopping by! I just discovered you blog after seeing your link on Primp. 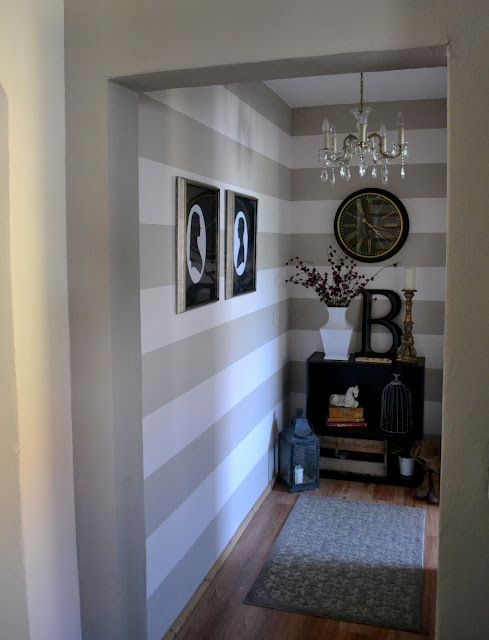 Your hallway transformation is just stunning! I can't wait to see more of your home. Thank you so very much I really appreciate it! Thank you so much for stopping by Tanya! 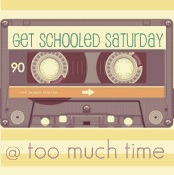 I'm featuring this tomorrow! 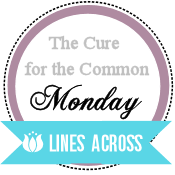 Thanks for linking up to Classy Clutter! Thank you so much! I really appreciate it! btw you ladies do awesome and things! Such an inspiration! Fabulous job! You'd never know it was the same space. Thank you Anne! I really appreciate you stopping! Molly, you did an amazing job, it's gorgeous! I'm including a link back in this week's highlights. So inspiring! Oh wow! I can't thank you enough!! I hope you have a blessed week! You have an amazing site btw! Found you through classy clutter, and just love the whole design. Am trying to pick a light warm gray to paint my kitchen. My cabinets are light wood. What color did you use for your stripes? Best of luck to you in this new life-journey. Hey there! Thank you so much for stopping by! If you are living in the states it is most similar to Kelly Moore's color called Jute. I actually like Jute even better! It is the perfect greige! I hope you have a lovely and blessed day! Very nice. You've inspired me! Why thank you so much Carolyn! What a beautiful transformation! It's so pretty and interesting now! Thank you so very much Sharon!! Love the stripes - so pretty. Thank you so much Grace! I hope you have a lovely day! It's so great seeing before and after shots. Love, love love your new hallway, and I am so in agreement with your last statement. I try to mix it up too, rustic and chic, old and new, distressed and sleek. 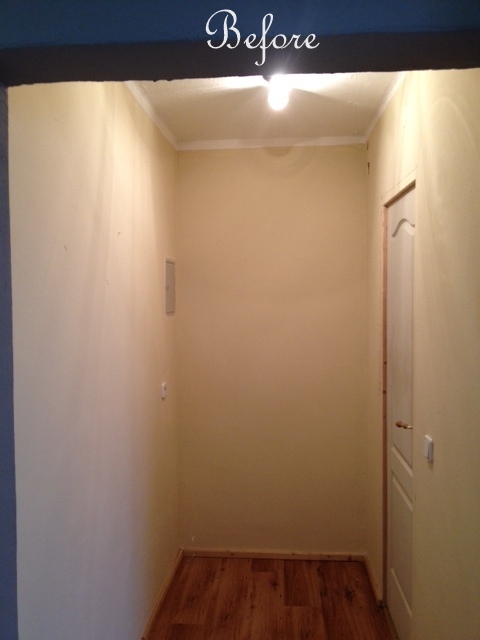 It's all about the textures, as with your great hallway ! Oh thank you so much! 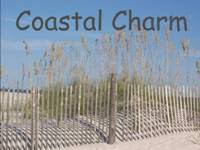 Its so nice of you to come and check out my blog! It was a blast fixing that hall up! I hope you have a lovely day! Wow, your style is absolutely exquisite. I only wish I could create something like that one day when I own a home. How exciting it must be to live in London! I've never been to London, but home to go one day. I really love the stripes and agree with the previous posts. I'm new to sewing and love doing anything artistic, but I wish I had your amazing skill and eye for design. Lovely blog. Hey there Jess thank you so much! That is the nicest compliment!! I've always wanted to do stripes, it was pretty hard lol. 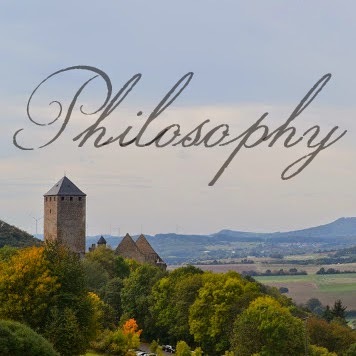 London is amazing, we were visiting family and my husband and I live in Germany...I would love to live in England though it's amazing!I love your blog too thank you so much for stopping by! Oh my, my! I'm in love with your stripes! This just may be the inspiration I needed for my tiny little hallway. I'd love to do them all over our entryway, but the fact that it's 20 feet tall is a bit daunting. You did a fantastic job from top to bottom!! Awwww thanks Jeannine! I love stripes! You should totally do this! 20 feet is a bit much though wow! 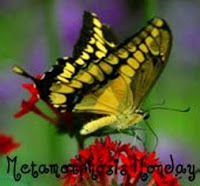 I appreciate you stopping by and I hope you have a fantastic and blessed week! Thank you so much for stopping by! I appreciate your kind words! have a blessed day! Thank you so much Kristin and thank you for hosting! This is just beautiful! What a warm and welcoming entry! Great job! Thank you so much Jen! I hope you have a lovely day! This is fantastic. I am attracted to a similar style. A great balance and mix. I love everything about how you styled it . . especially the boots. 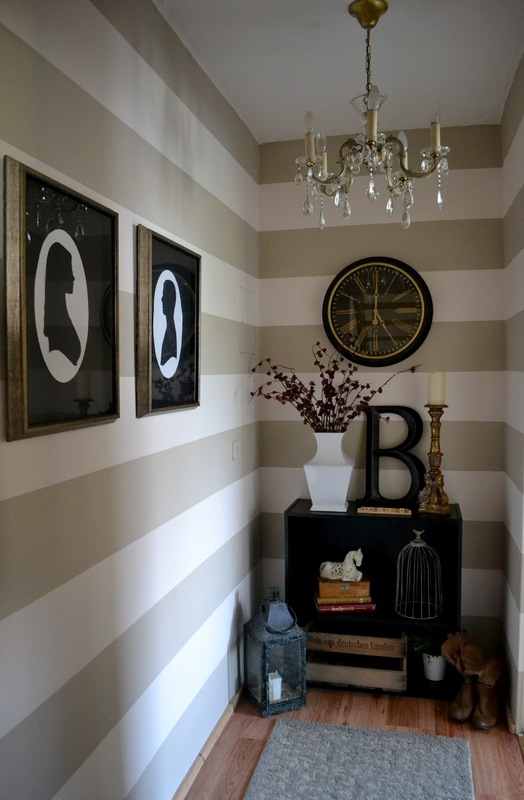 I have stripes in a few places in our home and my husband has to stop me from doing more! Thank you so much!!! I really appreciate you stopping by!! Why thank you so much! I will have to check it out! I hope you are having a very blessed day! this is really gorgeous!! 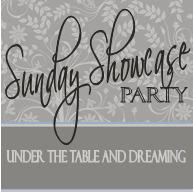 I saw the feature at Shabby Nest and had to get the details! 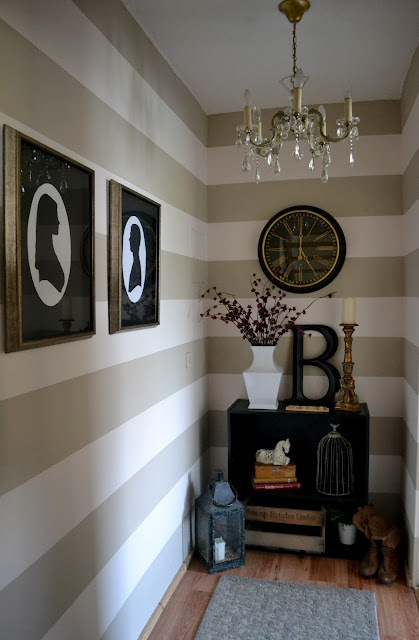 :) I am wondering if I could do stripes in our upstairs hallway....hmmmm....we have a beige color now that looks similar to the darker stripe you have going on. I like how it makes your hallway look so much bigger! wow! love all the accessories too. beautiful job! Thank you so much for joining me! You should totally do it! Its classic and timeless :) Add white stripes on top and you are good to go! I would love to see the finished product if you do! Over from Liz Marie....your hall looks great! So much character in a place that usually gets overlooked! Love everything about it! I am now a follower! Thank you so much! I am so glad you stopped by! Halls have become my new favorite places! Such a fun little are to go wild decorating in! 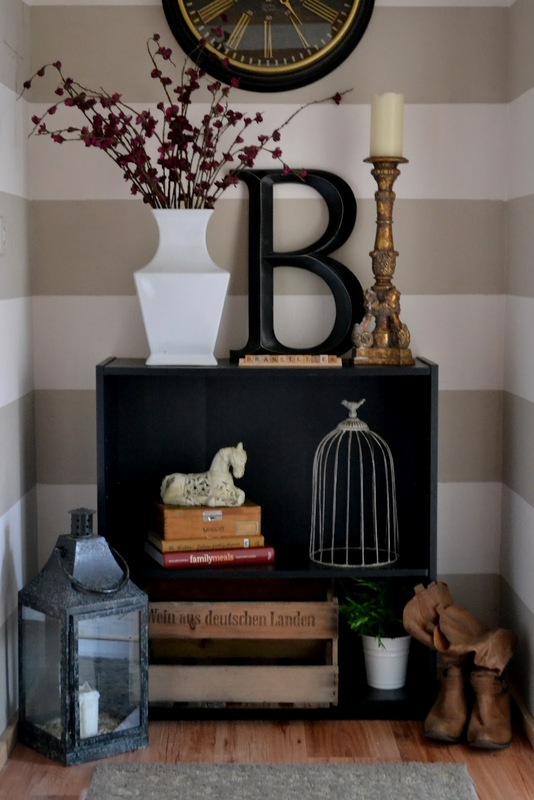 Your entryway is beautiful! I absolutely love your style. And I like what you said about liking all different styles...a bit of everything. I am the same way. I like so many styles I just don't know where to begin. 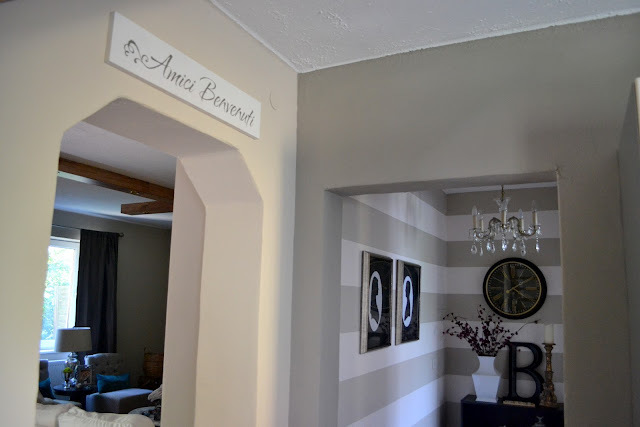 It is nice to see your eclectic entryway and how you are able to make it all work together! Very inspiring! 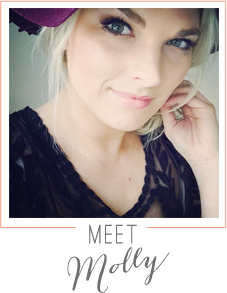 I'm a new follower stopping over from Liz Marie Blog. Thank you so much Allison! I really appreciate it! Thank you for stopping by and I am so glad you decided to follow! I hope you have a very, very blessed day! Hi Molly, I can hardly believe this is even the same space, incredible job!!! I love it! What are the colors you used to do the stripes! I love how clean this looks! Very warm and inviting! Hey there! are you in Germany or the States? If you are in the States, the color this is closest to is Jute by Kelly Moore. In Germany it is from Hornbach and the number is F6 05 70. Good luck and thank you! Love this look! What are the paint colors? ?